Already reeling from the pressure of rising costs and dwindling sales, developers once again have to contend with hard-to-sell bumiputera lots. Compounding the matter is, the overall unsold properties are reaching an all-time high. Varying from state to state, government regulations mandate that a certain percentage of each housing project be reserved as bumiputera lots, which can be sold to bumiputera buyers only. These properties enjoy a bumiputera discount as part of national affirmative action to drive homeownership among the native citizens. Despite the lowered entry price due to this decades-long initiative, developers have consistently found such units difficult to dispose of for various reasons. Among them are unpreferable locations for buyers, high pricing (despite the discount) that surpasses the average income of a majority of bumiputeras and the restrictive caveat of only being able to resell to a limited pool of buyers and not the open market. bumiputera discount as part of national affirmative action to drive homeownership among the native citizens. 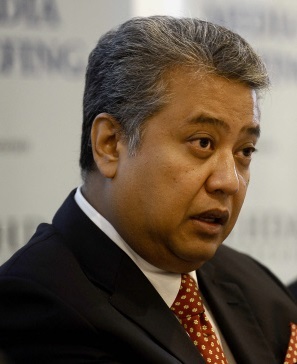 Ironically, this issue has been brought to the fore again via a positive move by Kuala Lumpur City Hall (DBKL) to launch a dedicated portal to promote bumiputera property units offered by developers in the city. While the portal provides vital aid to developers seeking to publicise their available bumiputera properties for sale, it has also inadvertently brought to light the high number of unsold lots that continue to plague the industry. “We want people to know that there are many units still available in the market,” said Federal Territories Minister Datuk Seri Tengku Adnan Tengku Mansor at the launch of the www.dbkl.gov.my/pkub website this week. “Many developers who found it hard to find takers for the units have approached me to let the lots be sold to non-bumiputeras. So we hope this portal will help people who are thinking of owning properties,’’ he said. Among the 23 participating developments on the website, there are almost 1,900 unsold bumiputera properties, a large number considering this represents just a small portion of ongoing developments in the capital. 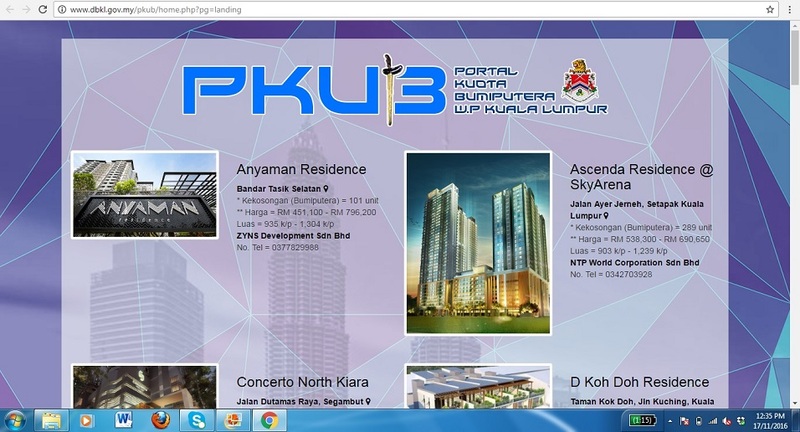 DBKL has launched a dedicated portal to promote bumiputera property units offered by developers in the city. Furthermore, the bumiputera quota for the Federal Territories is relatively low at 30 per cent compared with some other states such as Johor (40 per cent), Negeri Sembilan (50 per cent), or Kelantan (70 per cent). “Of course in some states like Kelantan it is significantly high, because a majority of the population are bumiputeras. But in such cases, the application of this rule is silly because if the quota percentage is so high, then the discounted price should actually be the normal price for properties in the area, without the regulations that limit resale,” said one developer who declined to be named. Although bumiputera lots can eventually be released if left unsold for a prolonged period, this does not help in serving the government aim of promoting homeownership among this group, nor is convenient to private developers as holding unsold properties for extended periods of time would involve considerable cost. Adding fodder to the fire is that the overall number of unsold properties in the market is starting to look alarming. According to the National Property Information Centre (Napic), even in the first quarter of the year, figures showed that unsold residential and commercial properties climbed by 16 per cent. It said 18,908 of the 81,894 units of residential and commercial properties launched in the first quarter of 2016 have yet to be sold. Fateh has questioned the need to go beyond the 30% in some states. These unsold properties amounted to RM9.4 billion, which is a 15.9 per cent increase on the value of units in the fourth quarter of 2015. The Real Estate and Housing Developers Association (Rehda) has long questioned regulations surrounding the bumiputera quota and the burden imposed on private developers to sell them. Its past presidents suggested that government development agencies would be better suited to purpose-build such units, thus allowing the private sector to concentrate solely on free market forces and selling according to demand and supply. Current national Rehda president Datuk Seri Fateh Iskandar Mohamed Mansor seems more supportive of Putrajaya’s minimum quota of 30 per cent, but has questioned the need to go beyond this percentage in some states as well as the blanket requirement that the rule be applied in every location. Previously, Fateh was opposed to proposals that would increase bumiputera allocations in residential areas that are traditionally occupied by non-bumiputera citizens, saying this would result in more idle units due to the lack of demand. “Demographic locality cannot be pushed. We’re not trying to be racist but it’s a fact. If you were to ask a non-bumi to buy a house in Keramat, a lot of people will say ‘no’; and if you were to ask a bumi to buy a house in Jinjang; probably, it’s going to be difficult,” Fateh said, explaining the reality of buyer behaviour. “That’s a fact, that’s simply how it works. Yet these quotas are still being put in every place,” he added. 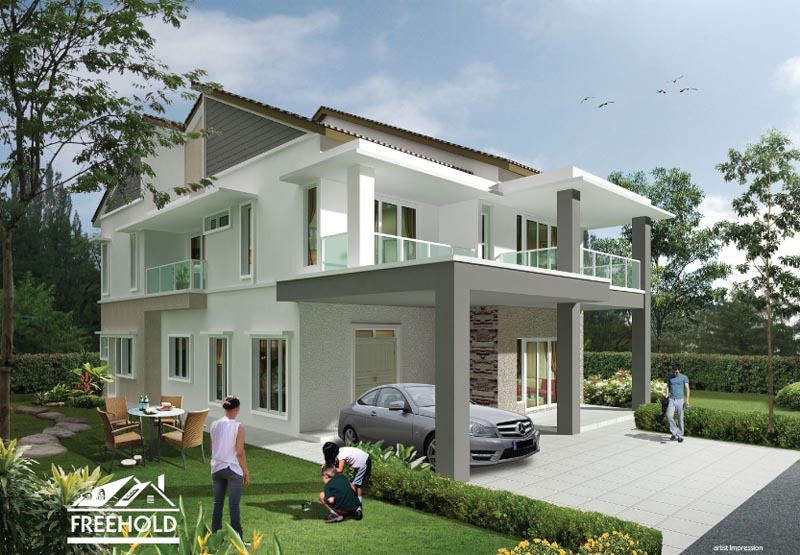 A developer active in the KL area also pointed out that many bumiputera buyers themselves are shying away from bumiputera lots simply because they cannot see the investment value. Some of the difficulties they face include lack of demand for their property due to the restricted resale market, slow appreciation in the value of their properties and rejections by the Land Office for consent to transfer the property to a non-bumiputera. At the launch of DBKL’s new portal to boost the sale of unsold bumiputera lots, even FT minister Adnan conceded that 372 bumiputera units had been let go this year despite extensive promotions done to inform the public. “We also hope bumiputera companies can come forward to buy the lots and help spur the economy,’’ he said. Overall, developers say it isn’t the necessity of the bumiputera quota that is in question but the intensity with which it continues to be pursued, despite the current predicament of poor sales and horrendous market conditions.